Correct and regular coolant maintenance is a simple way to avert expensive breakdowns in diesel engines, according to Case IH Aftersales Business Manager, Tom Pryde. “Many operators assume if the engine is running within the correct temperature range, everything is fine. However, diesel engines have a uniquely designed cooling system that makes regular maintenance vital,” Tom Pryde says. 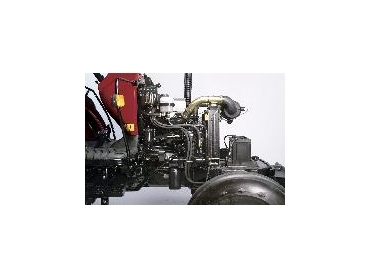 Heavy-duty diesel engines, like those in Case IH equipment, are designed with wet sleeve cylinders to allow coolant to circulate on the outside and dissipate heat. If not properly maintained, the metal wet sleeve liners are susceptible to pitting, which occurs when bubbles caused by vibration implode against the outer liner wall. The implosion can remove tiny amounts of metal, which can lead to substantial damage if left unchecked. The pitting makes the cylinder liner more vulnerable to corrosion. In extreme circumstances, pressure from the combustion can blow a hole through a weakened liner, resulting in a costly – but avoidable – engine breakdown. “Avoiding this breakdown is as simple as ensuring correct and regular coolant maintenance,” Tom Pryde says. Case IH-recommended coolants also contain a range of other additives that protect against corrosion in the cooling system, while lubricating the water pump, preventing acid scale erosion, and protecting against acid formation and coolant loss through boil-off. Some engines also have coolant filters, which may include coolant conditioners, and these should be changed at each service interval as stated in the operator’s manual. Operators should contact their Case IH dealer for more information or to discuss the correct disposal procedures for old coolant.